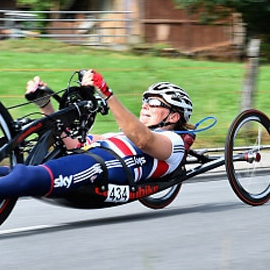 Having the need to possess extreme drive and determination, Olympic cyclists truly are some of the most motivational people around. The ability to cycle for extremely long distances comes through harsh training, strict diets and a lifestyle focussed around the sport. These are just a few reasons why Olympic cyclists make for brilliant after-dinner and keynote speeches at events. Able to educate on what’s needed to achieve peak performance, these Olympic cyclists are second to none when it comes to motivational speaking. 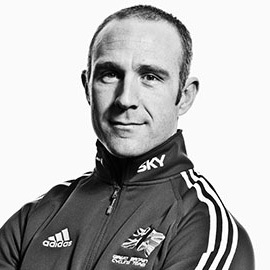 When you opt for an Olympic cyclist speaker for your next event and choose to book through Champions Olympic speakers, you can be assured of a service that is simple, straightforward and leaves very little work for you after deciding on your chosen Olympian. We take great pride in the service we offer to our customers and will ensure you are catered for from the moment you embark on booking with us right through until your event has ended and been a complete success. To find out more about the Champions Olympic Speakers service or to discuss your needs for an Olympic speaker with a member of our team, please don't hesitate to give us a call today on 01509 85 29 27 and we'll be more than happy to help.